I'm a palette fan, a blush fan, a highlight fan and a Too Faced fan, so it was a given that I would buy their latest release - the Too Faced Sweet Peach Glow Palette as soon as it was released! It is part of the new Too Faced Sweet Peach collection, which consists of an eyeshadow palette, a blush, lip oils/glosses and this highlight/blush/bronzer palette. The blush is exclusive to Selfridges in the UK but Debenhams stock the other products in both the UK & Ireland. I already own the eyeshadow palette and I wasn't too fussed on getting the lip glosses so I just bought the Glow Palette. I've read mixed reviews on this palette so today I am sharing my thoughts! 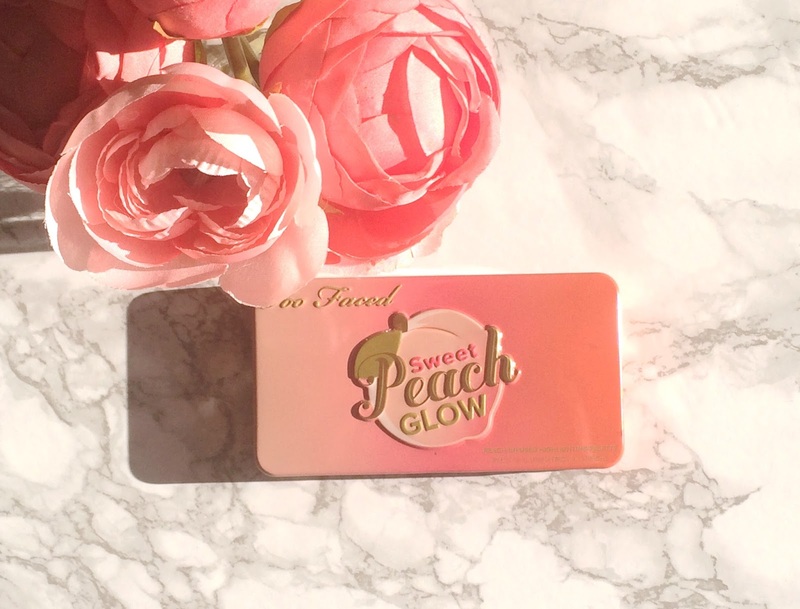 The packaging is the standard metal case, that has become synonymous with Too Faced palettes and given that this range is based around sweet peaches, it is peach in colour. Inside is a pretty big mirror and the 3 products, all of which smell of sweet peaches, but not in an sickly sweet way. There is a highlighter, blush & bronzer, with the blush being almost double the quantity of the two others (5.5g of blush and 3g of the other two products). The box also contains a small look book showing three different ways to wear the products. There are mini peaches embossed on each of the products, which are super cute! The highlighter is a very beautiful warm, peach colour with gold running through it and although it might look a little glittery in the pan, it doesn't translate that way on the skin when applied. The powder itself is quite firm, but not powdery and applies and blends beautifully. I find this shade extremely flattering on my medium skin tone. The blush is my ideal shade - a soft coral, not quite as red as some peach blushes. The pigmentation is perfect for me and is buildable if you prefer more colour but one wash of this blush is enough for my taste. The texture is quite firm in the pan, but feels creamier when applied to the cheeks. Again, I find this perfect for my medium skin tone. 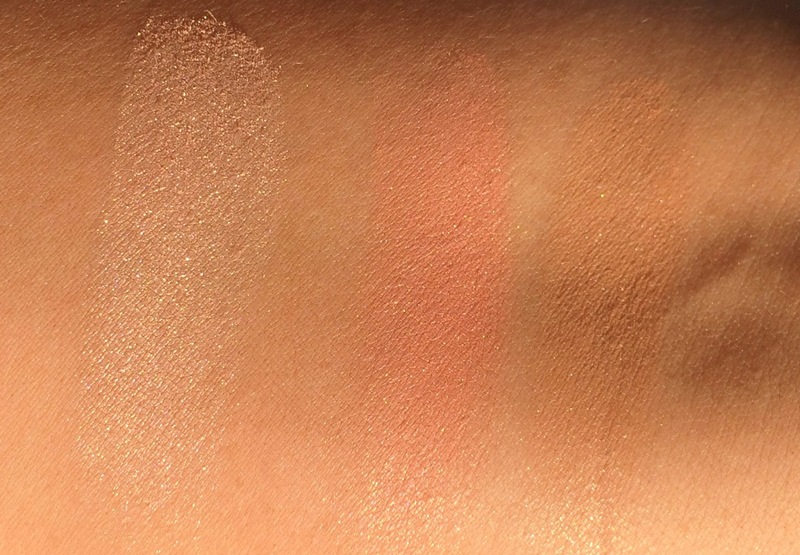 Finally, the bronzer - let's be honest - it isn't great! It is the least pigmented of the three powders and I have to use quite a bit of it to get it to show up on my skin. I think that I will probably use it more as an eyeshadow if I take this palette on holiday but I know that it will be my least used of the three powders but that's not to say that it wouldn't work better on paler skin. The highlighter and blush are visible on my skin for around 8 hours, without any fading, which is pretty good. If warm, peachy tones are your thing, then - yes, I would recommend picking this palette up but if you have a Too Faced counter close to you, then I would recommend swatching it first. 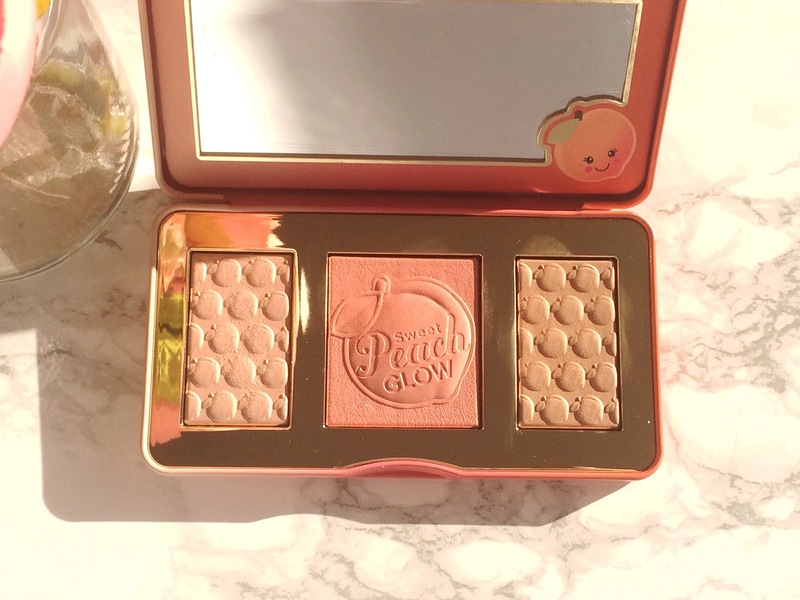 At £34/€41, it isn't exactly cheap and if you love peachy/coral toned face products then chances are you already own some very similar products as there is nothing ground-breaking about this palette. That being said, I am glad that I bought this palette because they are my go-to blush/highlight shades and really flatter my skin tone. I think that because this palette contains a blush, highlight & bronzer, many people expected it to be suitable for contouring and that is where the disappointment would lie because at most, you could achieve some subtle definition with this palette, but not a contour. I would love to hear your thoughts on this palette and the other products in the range? Have you bought any of them? Please tell me in the comments below!